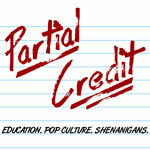 This week, another Extra Credit session. We’re going to hear from two college freshmen, one may be related to jeff, about their school experiences. Also, we will have a new segment called If I Ruled the School. You guys ready?